Ms. Liu’s English is superb. Most Chinese interpreters are native Chinese speakers and can speak English decently, but cannot understand English when it is spoken quickly, with accents, or when technical words are used. Ms. Liu, a native of Hefei, China, speaks Mandarin Chinese as her first and native language, but also speaks English at a native speaker’s level. While in university in China she majored in English Education and won numerous university-level and even provincial-level awards from English-speaking competitions. With other Mandarin Chinese interpreters we have experienced difficulty in communication, but never with Ms. Liu. Ms. Liu has top notch credentials. 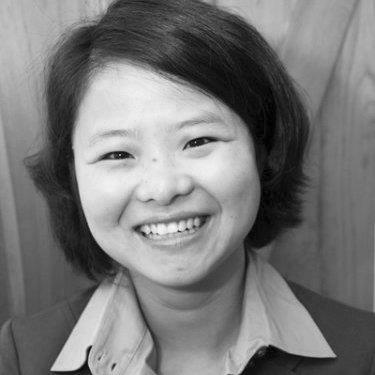 Ms. Liu is licensed by the Washington State Department of Social and Health Services (DSHS) as a medical interpreter. Obtaining this license requires passing oral and written examinations. We feel at ease recommending a licensed interpreter to our clients. This DSHS license requires knowing a vast amount of medical terminology; much of which even native English speakers are unfamiliar with. It is sometimes useful for our clients to be able to express medical terminology to Ms. Liu in Mandarin Chinese, which she can then interpret to the USCIS officer or immigration judge; especially when it involves Naturalization for Medical-Disability Waivers. Ms. Liu’s attention to detail is better than other interpreters or translators. When Ms. Liu is interpreting for our clients, she makes sure to employ word for word interpretation. Most of the interpretation jobs we hire her for require “consecutive interpretation,” which means that a sentence is interpreted subsequent to being said. This style of interpretation is most common in immigration proceedings, and Ms. Liu is proficient at it. Some interpreters paraphrase and even cut out entire sentences, which can confuse the speakers and create a disconnect in the conversation. Ms. Liu accurately interprets without cutting out sentences. Ms. Liu has reasonable rates. Many interpreters in the Seattle area charge more than many our clients are willing to spend on interpretation services. Ms. Liu’s fees make our clients feel as though they are getting a bargain for top-notch services (we agree!). Ms. Liu has all of the qualities any professional should have: reliable, consistent, hard-working, diligent, prompt, honest, accurate and accessible. We gladly write this review for her. Yuling Liu can be reached by telephone at (509) 885-6037. Back to Reviews for Immigration-Related Services.